We’ve seen it happen over and over. A parent enrolls a child in a Bach to Rock class and witnesses the child learning quickly in a fun environment, experiencing a sense of accomplishment almost instantly. They go from not being able to play an instrument to becoming a performer, even a star. In addition to chops, they see their kids develop confidence and even do better in school. Because of this, parents fall in love with us and end up becoming wildly enthusiastic ambassadors of the Bach to Rock brand. In turn, that local Bach to Rock franchise becomes more and more profitable, while continuing to benefit the community it serves. Parents rave about Bach to Rock to friends, neighbors and coworkers. They swell with pride when they see their child’s band gig at a local cafe or when they go into a Bach to Rock studio to record their own CD. Many parents can’t believe they’ve found Bach to Rock to begin with — they’ve really never heard of anything else like it. 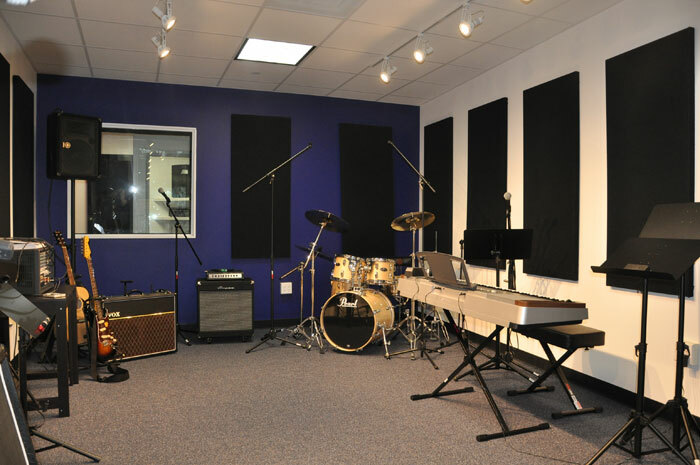 Bach to Rock music lessons are certainly nothing like ones many customers remember from when they were growing up. Those can conjure up awkward — even painful — memories: sitting at a piano in a grumpy teacher’s living room practicing the same drills over and over or attempting a trumpet solo in a school performance of a Bach sonata when you really don’t like classical music very much to begin with. Bach to Rock parent Melinda Mansfield discovered a Bach to Rock franchise in Northern Virginia when she was seeking out a positive musical experience for her twins, Josie and Will. Bach to Rock was a big hit with the entire Mansfield family from the very beginning. Ongoing classes have helped Josie and Will with everything from learning stage presence to developing fine and gross motor skills. The twins have too many musical success stories under their belts to count, and both have made many close friends in their Bach to Rock classes. Melinda, who has a master’s degree in music and is the music director of her church, also is a raving fan of Josie and Will’s Bach to Rock teacher Sean Mason, who has been with them for four years. Some customers believe in us so passionately they purchase their own Bach to Rock franchise territories. That’s what happened with Sameer Patel. Sameer, who is the owner and administrator of a 14,000-square-foot Montessori school in Bristow, decided to make the commitment to Bach to Rock after seeing the profound impact the school was making in the lives of his two youngsters, Rumi and Rayn. He made the investment to build his schools from the ground up. Why? Sameer had a less-than-ideal experience with music lessons as a child, and yet he never outgrew his passion for music. In Bach to Rock he found a highly profitable business opportunity that also gives him the ability to help other families and children in his community. It’s a different story for Rumi and Rayn. Sameer has one word that sums up his children’s Bach to Rock experience so far — magic. Rayn plays piano and drums. Rumi plays piano and violin. Rumi has begun to perform in recitals and public performances with his band, Teal Steel.